Tony Bollin spends time with his two-year-old twin girls Nora and Brooke. Rachel and Tony Bollin with their twin girls Nora and Brooke. For more than a year, Tony has been in search of a donor for his failing kidney. 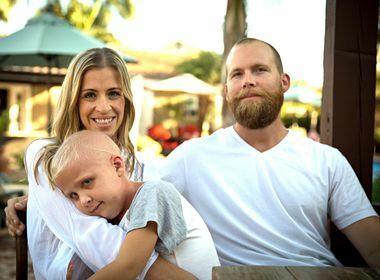 On April 1, the family received word that a perfect match has been found and surgery will take place in late April. When the home phone rang at 8:29 a.m. on April Fool’s Day, Rachel Bollin was in no mood for jokes. But it was the hospital with news she had been waiting for for more than a year: her husband Tony is getting a healthy kidney and the surgery will be taking place at the end of this month. She immediately called Tony, 50, who was heading in for an extra dialysis treatment because fluid had accumulated in his lungs. He was pulling into the parking lot when Rachel told him the news. The news was made even more special because the donor is Tony’s co-worker at Southern California Edison. They’ve never met before, but “Sally” (who wished to remain anonymous) reached out to the Bollins shortly after their story appeared on the Edison newsroom. They’ve been corresponding on Facebook since then. It was in March 2013 that Tony — who works in SCE’s Substation Construction and Maintenance group — first learned his kidney was failing for the second time, and he desperately needed a donor. He’s been undergoing dialysis treatments three times a week and his health has slowly deteriorated. Soon after they learned of Tony’s plight, his co-workers in Transmission & Distribution held an impromptu fundraiser and raised more than $6,000 in 30 minutes. Some even donated their vacation hours. A story on Tony’s search for a kidney donor appeared on the company’s online newsroom. 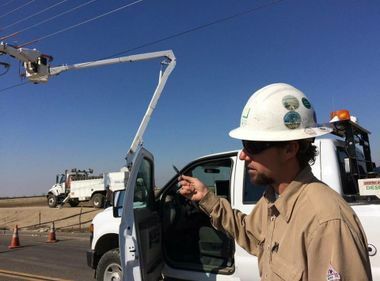 Within days, several SCE employees stepped forward to get tested. Some were even identified as potential matches. In the end, Sally passed all the tests and was picked as the perfect match to donate her kidney to Tony. On April 7, the Bollins hope to finally get their wish to meet Sally and thank her in person. They will all be at the UCLA Medical Center, where Tony will have his surgery, for one final test to ensure both Tony and Sally’s blood still mix well together. It was shortly after reading Tony’s story that Sally went home during her lunch break to check her daughter’s birth certificate and see if her blood type was O-positive, like Tony’s. It was and she called the hospital to start the testing process. 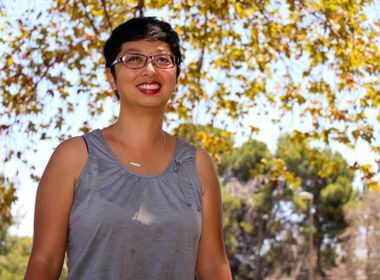 Recently, she spoke to her husband and three kids to discuss her decision to be a kidney donor. Her husband’s come around, but her kids still have some concerns. Sally believes a higher calling has led to her being a perfect match for Tony and has been preparing for the upcoming surgery. She’s cut back on coffee and alcohol, and has started running on weekends to try and lose some weight. Currently, there are 118,617 people waiting for lifesaving organ transplants in the U.S. Of this number, 96,645 are waiting for kidney transplants, according to the National Kidney Foundation. Last year, 4,903 people died while awaiting a kidney transplant. These days, Tony reserves all his energy to play with his daughters. With his long-awaited surgery scheduled for April 30, he’s been diligently preparing his body. He’s been increasing his protein intake and avoiding all foods with phosphorous. He gets emotional when he thinks of all the people who have helped him along this difficult journey. For more information about the Bollins and their journey in search of a kidney donor, visit their Facebook page. For more information about kidney donation and how to get tested, contact the UCLA Medical Center at: 310-267-6910.